While Sony's Xperia Z1 will undoubtedly be their flagship device for the foreseeable future this isn't stoping Sony from branching out into different form factors to try to appeal to different demographics. The rise of jumbo sized phones like the HTC One, Galaxy S 4, Xperia Z1 and LG G2 as well as the phablets like the rumored HTC One Max, Galaxy Note and Mega as well as Sony's own Xperia Z Ultra has left some people wanting smaller handsets. Samsung's Galaxy S4 Mini is poised to hit Canada in the near future but aside form that choices for premium devices are very slim. The HTC One Mini was passed on by Canadian carrier so perhaps there is an opportunity for "mini" Z1 to fill in that gap. 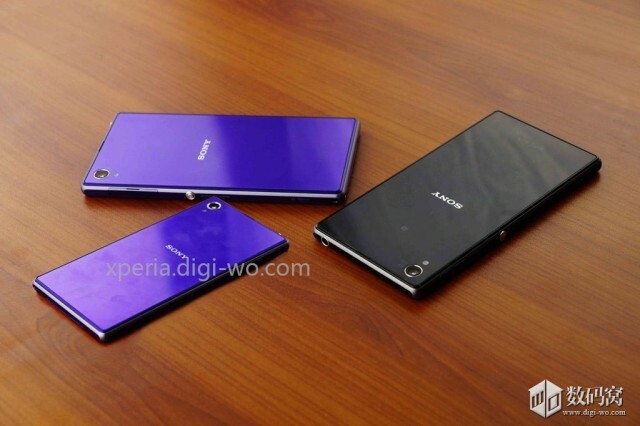 According to leaks from the well connect Xperia Blog, the Z1 Mini will sport identical specs to the Z1 except for a 4.3-inch 720p display and a smaller 8GB of internal storage. This means it should be packing a Qualcomm Snapdragon 800 Processor clocked at 2.2GHz, 2GB of RAM and of course the crazy 20.7 Megapixel f/2.0 1/2.3" Exmor R Camera. We'll just have to wait and see if this device is in fact packed to the gills with hardware and if it even makes it to Canadian shores.